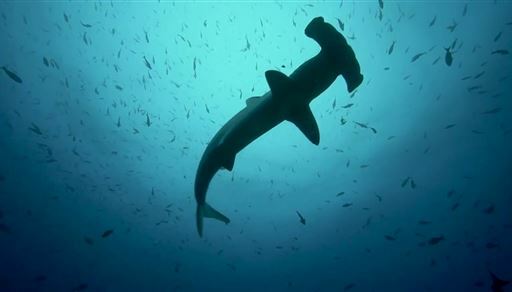 A UNESCO World Heritage, the archipelago of Galapagos is located in the Pacific Ocean. A part of Ecuador, these volcanic islands were first discovered in the 14th century. Tourism is a highly important industry here and with the abundance of water bodies full of exotic marine life, the place is a perfect spot for divers, especially experienced ones. The strong currents in these waters can make diving quite a challenge. 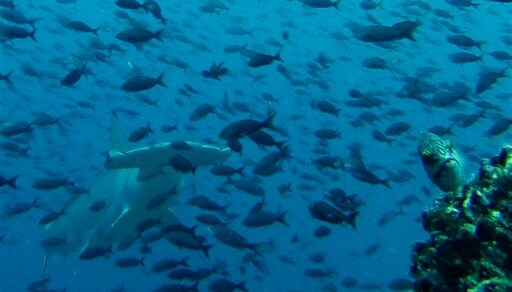 There are over 60 dive sites on these islands, each unique and beautiful in its own way. Both liveaboard and land diving facilities are available for water sports like snorkeling, underwater photography and scuba diving. The visibility ranges from 10 meters to over 25 meters. The local language is Spanish. 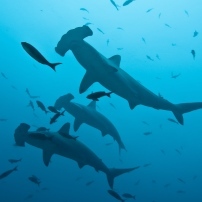 The Darwin and the Wolf islands belonging to this archipelago are two of the best dive destinations worldwide. There are two distinctive seasons in these islands; the warm season and the cool season. From the month of December to March, the area experiences a warm water temperature ranging from 22 degree Celsius to 27 degree Celsius. 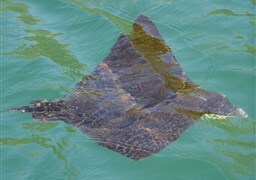 It is during this season that ray sightings increase in the area while the islands of Wolf and Darwin have less frequent whale shark sightings when compared to the cooler season. The currents are slower and has a calm sea overshadowed by a blue sky which makes these conditions near perfect for a diving adventure. The cool season which begins in April, lasts until November during which the surrounding water bodies have a temperature of 18 degree Celsius to 23 degree Celsius. 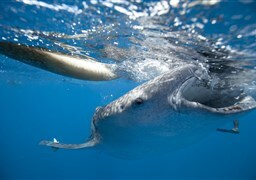 Whale shark sightings at Darwin and Wolf are at their peaks. 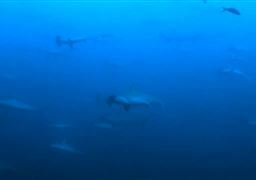 This weather brings about a huge influx of plankton and sharks in the area. The water is however cold all throughout the year due to which it is recommended that divers wear 7mm wetsuits along with hoods and gloves. The best time to dive here is in summer during the cooler months with their drier garua season. Average visibility in these areas ranges 10 meters to 25 meters, clearer in the summers than in winters, although unfortunate as the winter months bring in a comparatively higher diversity in marine life. Most of the dive sites in these islands feature very strong currents which are not considered to be safe for beginners and requires at least a certain level of expertise. Both liveaboards and land diving are common in the area and numerous well equipped dive shops are located all over the dive regions with expert instructors, state of the art equipment and full scuba gear. Some of the best dive regions are as follows. 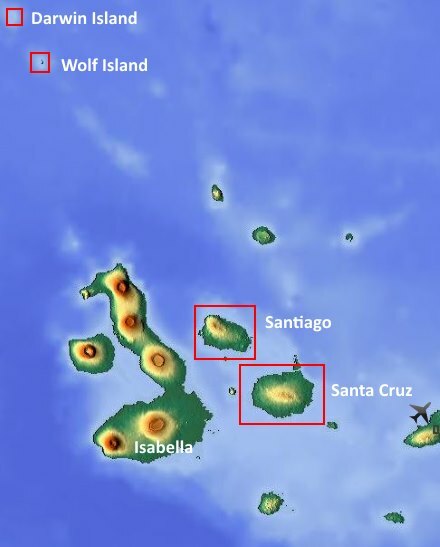 The Wolf Island is a remote area far from the main archipelago and has four main dive sites. 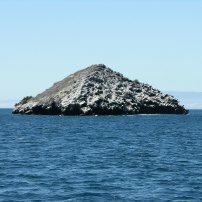 Its most prominent feature is the 253 meters tall extinct volcano which is exquisite both underwater and over the land. Here, one can spot dolphins, moray eels, sharks, tuna fish, sea lions, turtles, rays and whale sharks as well. 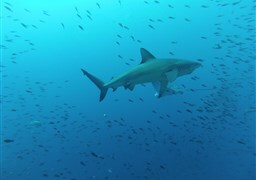 Shark Point is the most popular dive site here while other sites are El Derrumbe and La Ventana. 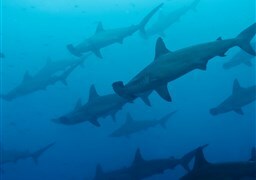 Shark Point is particularly famous for its massive collection of whale sharks, hammerhead sharks and endemic Galapagos sharks. The island can be accessed only by liveaboard facilities and is more suited to advanced divers although amateur diver can dive here as well but only under supervision. 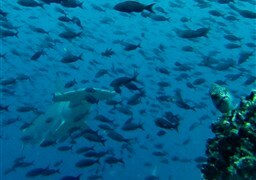 Darwin Island, home to only two dive sites, is the other most prominent dive region in the Galapagos archipelago. It is named after the famous English naturalist, Charles Darwin and is one of the smallest islands here. It can be reached only by liveaboards and also has a vast and rare bird collection. 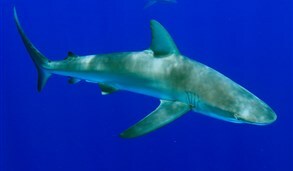 The marine biodiversity includes Whale Sharks, Hammerhead Sharks, Blacktip Sharks, Dolphins, Manat Rays and Silky Sharks as well. Several species of fish are also easily spotted here. 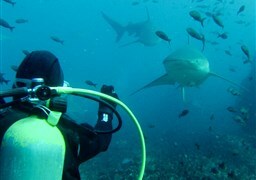 Important dive sites are El Arco and El Arenal. 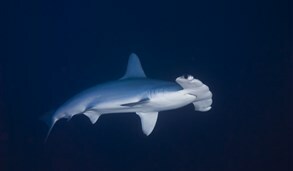 Isabela Island, the largest in the archipelago has over fifteen well acclaimed dive sites. It has five volcanoes situated over its area which have not ceased their volcanic activities and still spout lava at times. 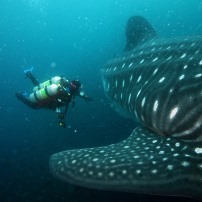 The dive sites here are suitable for divers of all levels. One can easily spot white-reef tipped sharks, orcas, stingrays, sunfish, manta rays, giant tortoises, marine iguanas and penguins as well. 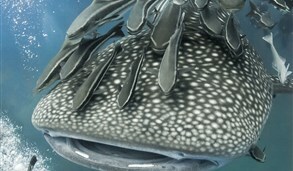 Galapagos has an extremely rich and abundant marine diversity with over 500 species of fish which are highly unusual and not found in any other region. 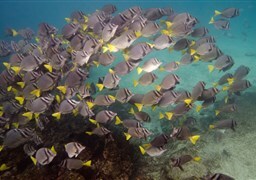 Most of these fish species are swept by the currents of Peru, Chile and Panama. Beautiful butterfly fishes, hawk fishes, yellowtail damsel fish, Galapagos puffer, barnacle blenny and camotillo can be spotted here. 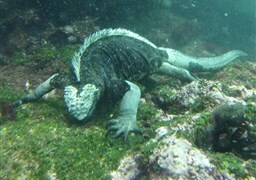 An overwhelming variety of fish, marine iguanas, snapper, rays, hammerheads can be sighted during most dives. 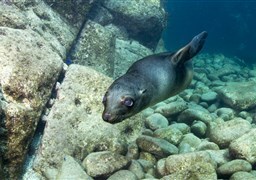 Marine biodiversity is one of the top reasons for the popularity of Galapagos as a diving destination. 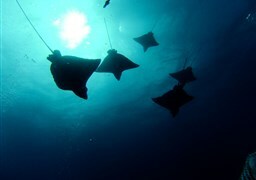 It is home to several kinds of rays like Manta Rays and Eagle Rays. Species like Whale Shark, Hammerhead sharks, Bottlenose Dolphin, Pilot Whale, Gulf Star, Black Urchin, Banded Black Urchin, Barracudas, Yellowfin Tuna, Batfish, Seahorse and Bloody Frogfish are also found here. 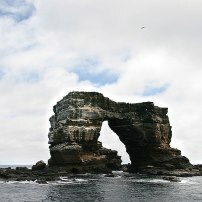 Boat trips to nearby islands, exploring the wildlife and cruises are highly popular tourist activities in Galapagos. The Darwin Research Center, Darwin’s Arch, Rabida Islands, Prince Philip’s steps on Genovesa Island and Hill Bartolome are famous sights to visit on these islands.